I think it goes without saying running an online business is unlike any other business model. 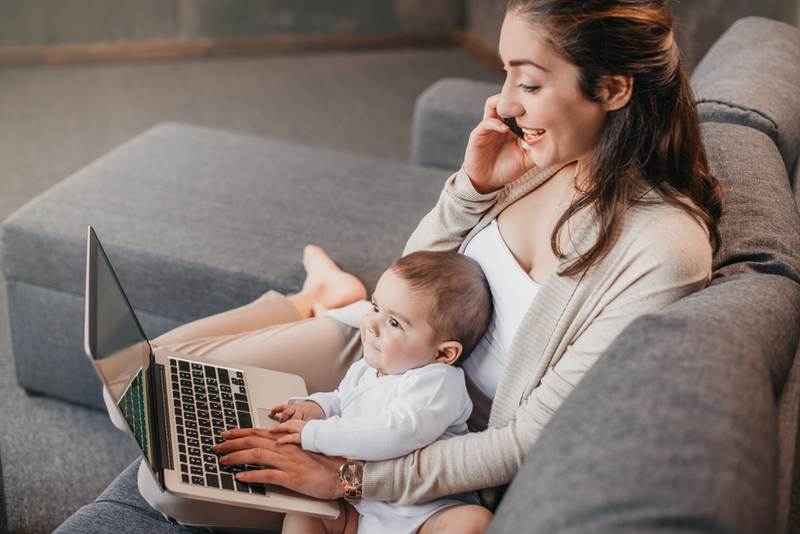 What other business gives you the freedom to work at home in your PJs on your own schedule? But with all the perks there are also challenges, like managing your own time and projects, and being face to face with your competition around every virtual corner. That’s why in order to succeed you must have a strong mindset. 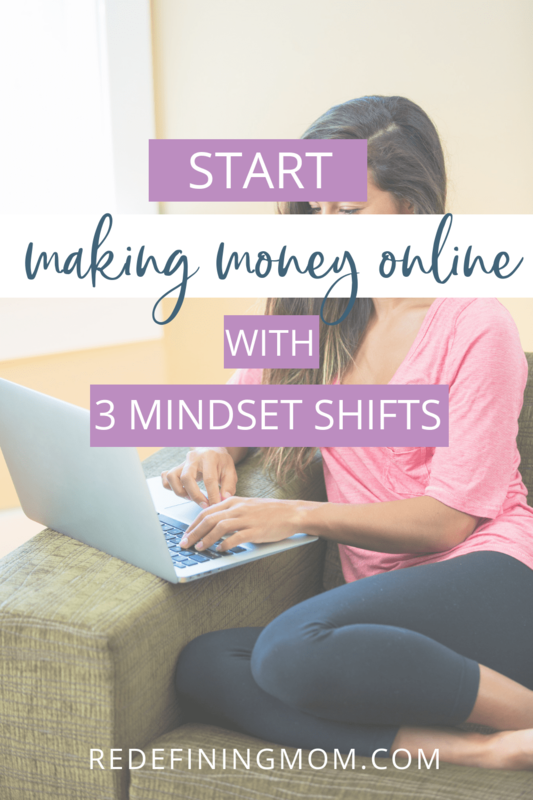 I’ve found that there are 3 mindset shifts that you have to make to start making money online. Let’s dive into them, shall we? One of the biggest mindset shifts that you will need to make to start making money in your business is the thought that everything has to be perfect before you put it out into the world. The truth is nothing is ever perfect and holding off on launching your (not-so-perfect) product/service is actually costing you EVERYTHING. Now, listen carefully. I’m not saying that I want you to create low-quality offers and charge top dollar for them and expect everyone to just deal with it and be happy. That’s not what I’m saying at all. Instead, I want you to create quality offers that are good enough as they are and can help change people’s lives now because done is better than perfect. Why do we need to adopt this mindset shift? There are several reasons entrepreneurs have to adopt the “done is better than perfect” mindset. Our standard we set for ourselves is usually way higher than anyone else’s therefore when it comes to creating and launching our products we take way longer than necessary to get them to the marketplace because in our eyes they are never perfect enough. There’s always one more thing we could tweak or improve, which keeps us in a cycle of constantly losing, time, money and resources. It is also essential for the evolution of our products to get into the hands of our customers as quickly as possible so that we can improve them. Our goal should be to have the best products on the market but we should not be the judge of what makes them the best. Our customers will help perfect our products with their feedback. You can perfect it until the cows come home and then get it into the hands of your customers and find out that you were tweaking and perfecting all the wrong things. Again, money and time lost. One of the biggest challenges many entrepreneurs face is having to do it all, learn it all, and be all the positions in their business. OVERWHELM isn’t even a strong enough word to describe what most of us feel. The endless to-do list feels crushing most days. I’m sure you’d agree that you didn’t leave your 9-5 to work a 24-7, am I right? It’s true we do have a lot of responsibilities and it is overwhelming but what we also have is the freedom that so many people do not have. We have the freedom to create our own products, our own schedules, our own rules. There are so many people working jobs they absolutely HATE that would trade spots with us in a heartbeat. So, when you start getting overwhelmed about all the things you HAVE to do, I challenge you to shift your thinking towards one of appreciation and reframe it as “I am so glad I GET to do all these things today” because remember not everyone has that luxury. There’s a famous quote by Henry Ford that pretty much epitomizes the power of mindset: “Whether you think you can or you think you can’t, you’re right.” At the end of the day, the way you view the day-to-day task you are responsible for is what’s going to make or break your business. If you do everything with spite, angst, and resentment, your product, your content, and anything else you produce will be affected by it. I encourage you to change your mindset to one of appreciation for what you get to do every day and your bottom line will start to increase. The fear of failure, it’s real and it’s so hard. The more women I work with who are over 30 the more I have realized that almost all of us have been raised to view failure totally differently than millennials. Which makes it so much easier to understand why the younger crowd have this no-fear mindset online …. All the time! You see millennials were raised with an “everybody wins” mindset. During sports, they all got participation trophies no matter what the score was. But not us. No, it was very clear… you were either a WINNER or a LOSER. It’s no wonder we view failure as being such a permanent and fatal thing. The fear of failure prevents so many of us from putting ourselves out there because we think that if we fail, that’s it, there are no second chances… we have to hide, close up shop, call it quits, RIGHT? Not exactly. The good news is if you are viewing failure as fatal, it’s not your fault. It’s pretty much how most of us were conditioned to think. The better news is all bad habits can be undone. Instead of viewing failures as fatal I want you to view them as lessons instead. Once you start viewing your perceived failures as lessons everything will start to improve in your business including your profits. I’ll explain why. When we “fail” at something we usually just throw it away never to be looked at it again and either quit or move on to the next thing as fast as possible. I see this happen all the time. This habit is probably one of the most costly mistakes an entrepreneur could ever make. Adapting your mindset to see your failures as lessons will be one of the most valuable things you can do for your business. Within every lesson, you will find analytics that you can use to adjust your product, service, marketing, message, branding, etc. Far too often the reason why something didn’t meet your goals wasn’t that the entire thing was a bust but it was because just one little element was off. But you would never know this because you walked away too soon and deemed it a complete failure instead of looking at it as a lesson and analyzing all the data. My challenge to you is to start tracking all the data you can around each product or service you launch and see where you can improve before you decide to call it a complete and total failure and move on to something else… or worse, quit altogether. Making these three mindset shifts takes intentional effort every single day but it can be done and it does work. What we think is exactly what we become and I fully believe that. I also know that we have the ability to change and you can change your way of thinking and therefore change your results if you are willing to put in the work. Like with all the changes it’s best to start with one thing at a time. 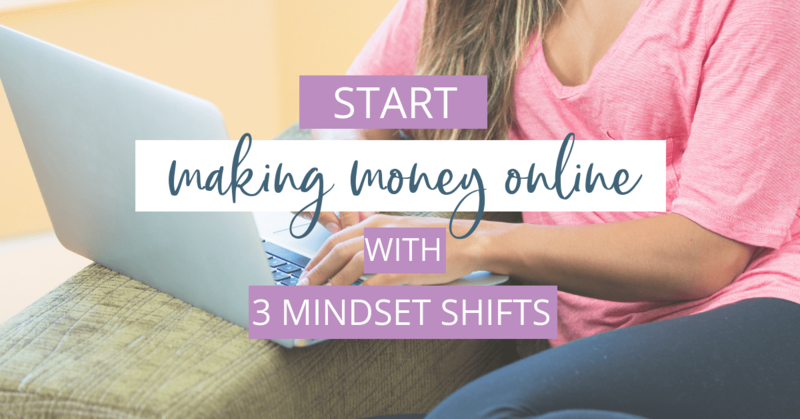 I suggest that you figure out which mindset shift you need to focus on the most, you can find that out by taking this quiz, What’s stopping you from the business of your dreams? Perfection, Overwhelm or Fear. 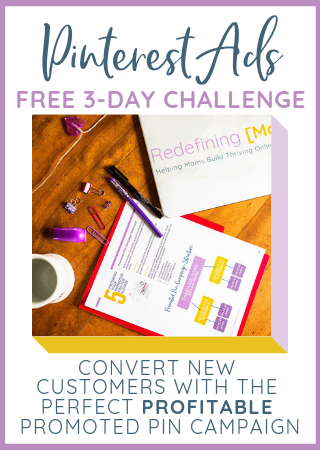 After the quiz, you will receive some actionable tips on how to start making some simple changes that will help you shift your way of thinking and start getting results. I’m Lesley! 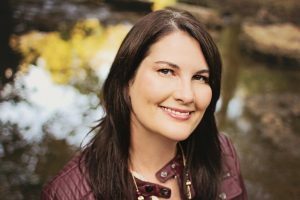 A formerly tech-challenged, solution-driven, creative entrepreneur, dedicated to helping you launch your dream business online! I’ve been running my own online business for over 7 years. 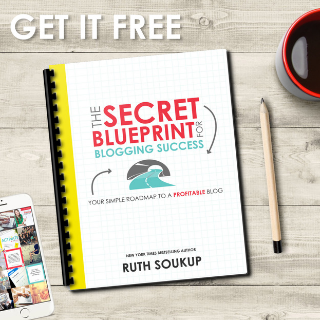 I started blogging as a hobby and quickly discovered it could be a business. Within the first year of blogging, I developed and launched my first physical product which was a big success and was even featured on The Today Show. I then transitioned into web design and other client work and then went into launching 6 figures in digital products, which are my absolute favorite. Long story short, I know a thing or two about creating and launching products and services. And I totally GEEK OUT about analytics, conversion rates, and all things tech. My students will tell you I have a way of breaking down the hard stuff and explaining it in a way anyone can understand! I get people to go from having ideas in their head to putting them out into the world.